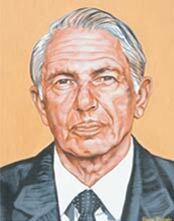 Initially, Victor Daitz settled on the Foundation a valuable rent producing property in West Street, Durban. The Foundation, which has always had an independent board of trustees, functioned under the Chairmanship of Victor Daitz from the time of its establishment until his death on 29 November 1999. He formulated and directed the principles by which it was to function. He particularly wanted preference to be given to KwaZulu-Natal. In terms of his Will, Victor Daitz bequeathed the residue of his estate to the Foundation which, as a result, acquired substantial assets comprising properties, shares and other investments. This synopsis incorporates a Schedule reflecting the donations made to the various charities since the death of Victor Daitz until October 2013, identifying them both by category and name. This reflects a wide range of beneficiaries. In effect, the Foundation is operating as a private community chest. While the Foundation makes a major contribution towards the charitable needs of all community groups in South Africa, a significant portion of its funds are directed towards the Aids pandemic and the needs of the historically deprived, disadvantaged group of our society, particularly education.